Airbnb photo captions are often overlooked by Airbnb hosts. 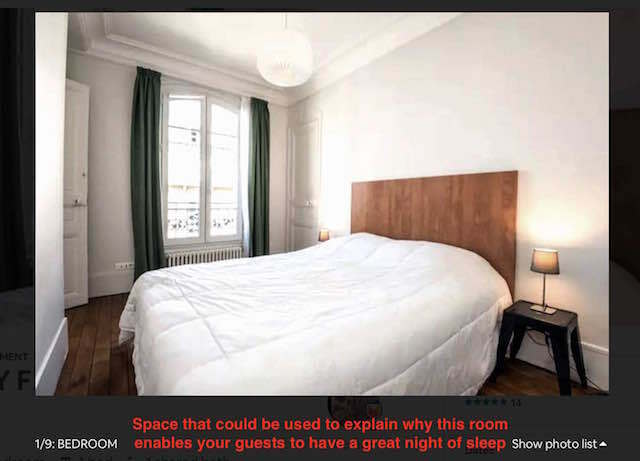 It’s unfortunate, because the captions are part of an Airbnb listing’s prime real estate. Why? Because your potential Airbnb guests are guaranteed to look at your photos, and thus will likely read the captions too. In fact, other than your Airbnb title, the captions probably represent the most important text in your entire listing. It’s not a secret that most Airbnb users don’t read the listing description, at least not until you’ve caught their attention with your photos and reviews. If you want to improve your Airbnb listing, there’s a good chance your captions are the lowest hanging fruit. So why is it that so many hosts neglect this part of their listing? My guess is because they are not sure what to write. 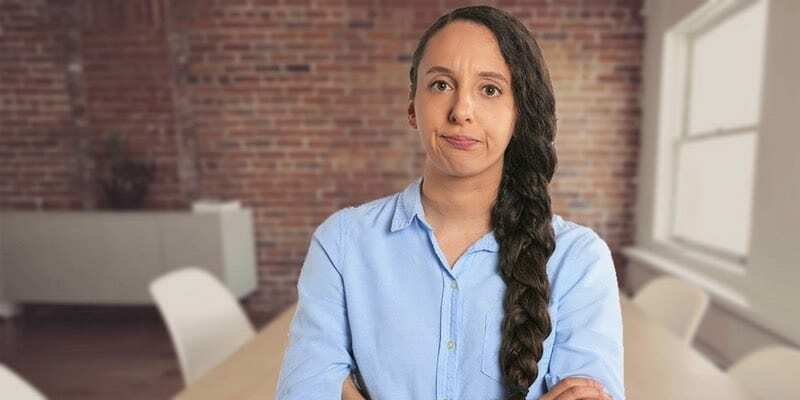 If you’re one of these hosts, then keep on reading because below you find the three most important guidelines to write effective Airbnb photo captions. I see a lot of captions that simply state what’s in the photo, captions like “kitchen,” “second bedroom,” or “the roof terrace.” Although better than not having captions at all, this adds very little information. Most people are able to recognise a kitchen or bedroom, even Airbnb guests. Instead, focus on the details that aren’t directly clear from the picture. What size is the bed? What type of mattress does it have? What channels does your TV have, is it a smart TV? What hours of the day does the balcony have sun? These are things the viewer won’t be able to tell from the photo, but it’s valuable information that could help your potential guest make an informed booking decision. This helps the viewer visualise the experience, which creates a stronger desire than merely learning that the house has a roof terrace. Having your past Airbnb guests vouch for your space is extremely valuable, so why not provide some quotes from your review section in your captions? Either choose the photos where you don’t really know what else to say, or pick the ones that relate to the catchiest quotes from your reviews. Make sure to add quotation marks and the name of the reviewer to make it obvious that the quote was written by a past guest. The photo section of your Airbnb listing is arguably the most important section of your listing and the Airbnb photo captions are part of that. That’s why it’s so essential to use this space to provide additional information, describe the experience that relates to the photo, and add some of the most powerful quotes from your review section. For more tips on how to improve your Airbnb listing, check out the ultimate guide to your Airbnb photo section or order my best selling book, Get Paid For Your Pad: How to Maximize Profit From Your Airbnb Listing. Don’t know what to write in your captions? Comment below with a link to your Airbnb listing and I’ll give you some suggestions! Too often I get stuck just describing the room. Way to get me to be more creative. Hey Francisco, your listings look awesome, great photos and love your titles too. You can definitely improve the captions, look at your reviews for inspiration and think about what you love about your places and your favourite experiences. I’d certainly add some quotes from your reviews too, that’s the easiest way to create a caption if you don’t know what to write. Hello! I have had great success with my airbnb! I’m always looking for ways to improve. I honestly havnt considered writing captions until I read your blog. I’m definitely going to use quotes from past reviews! Thanks for that tip! Great tips for something that a lot of people don’t pay any attention to. Great way to differentiate your listing!